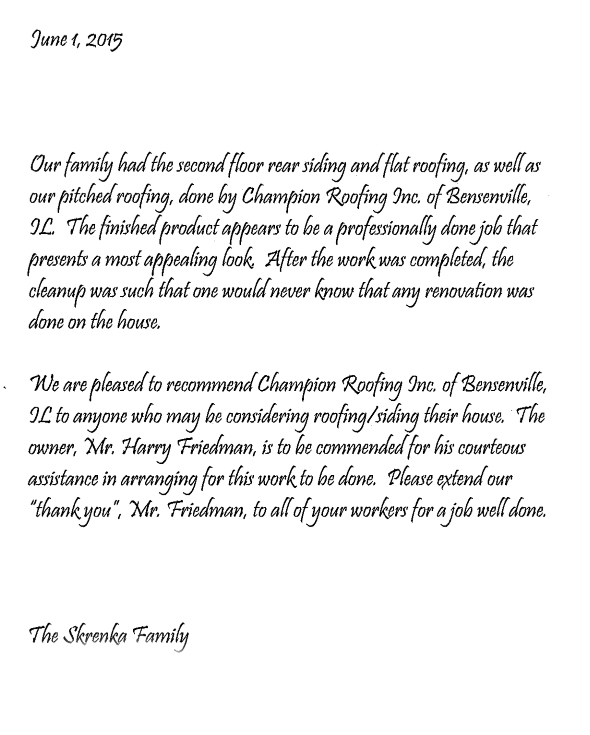 "We are pleased to give Champion roofing the highest recommendation. Their pricing was the best of our 4 bids. They completed our very complicated job in a prompt and professional manner, and the owner Harry was available ... (read more)"
"Champion was recommended by the father of a neighbor. Champion had done the father's and the neighbor's jobs. We contacted Champion and got a prompt quote with na full discussion of the quote, the advantages and ... (read more)"
"We needed to fix a side of our roof before winter came about, and Champion Roofing came through in spades.They gave dates they could come out, but when they found time to come out early ... (read more)"
"We wanted to thank Champion Roofing for an outstanding job! Their professionalism, knowledge, patience and timeliness was outstanding! Chris Hartman is a superb sales rep who is an excellent communicator and project manager! Once again, thank ... (read more)"
"Showed up when scheduled. worked cleanly. Workers on site answered any questions I had. Job looks good and after the rain no water coming into house. Gutters and facia look great will have them do my ... (read more)"
Living in Illinois runs the gamut for home water damage and roofing repairs. 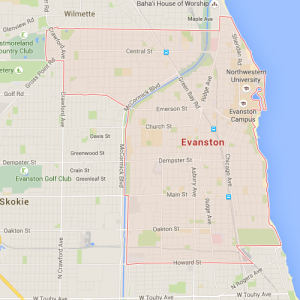 The constant rain and wind can be difficult during certain seasons as well, particularly for Evanston. It’s important that those concerned about residential roofing services in Evanston always look for ways to improve their rooftop or even replace a roof with help from reliable roofing companies. If you have been worried about your roof, these are some tips for those looking for residential roofing services in Evanston. One of the first things that you can do for your home is look for black areas that indicate some of your slate roof is missing. These areas might lead to leaks inside of the home. 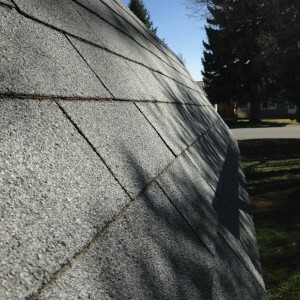 Slate is easily replaced or repaired with the help of an experienced roofer in Evanston. If your home has particularly heavy wear around roof valleys, then it may be sending too much water down to the gutters, which can also become clogged and lead to roof damage. You should look for gaps around vent pipes and chimneys if you have a fireplace. Cracks, gaps and missing or cracked caulking could also be causing trouble for your home’s roof. If you notice that there are some issues with your roof or if you have an older roof, it may be time to get a complete replacement for your Spanish tile roof. It’s best to speak with a technician experienced with residential roofing in Evanston to get the best estimate and highest quality of repair work. You can also check the roof overhangs that may show signs of water damage to see if your roof is experiencing issues in other areas. It’s always best to start off inside and look for stains on the ceiling or any signs of discoloration as this is a clear sign that you are having roofing problems. It’s important to contact a contractor experienced with residential roofing services in Evanston to handle the types of roofing problems commonly caused by Illinois weather. Many homes are not fit to handle the rainy seasons and may become further dilapidated during winter. You should always be safe when inspecting your roof, but Champion Roofing, Inc. will offer you this service for free with an estimate. This online and interactive tool lets you select from a variety of shingle colors, trim, and exterior colors to find the perfect color combination for your home.